A great book from the 60s by James Webb Young. It describes in a dead simple 5-step-process how we produce ideas. 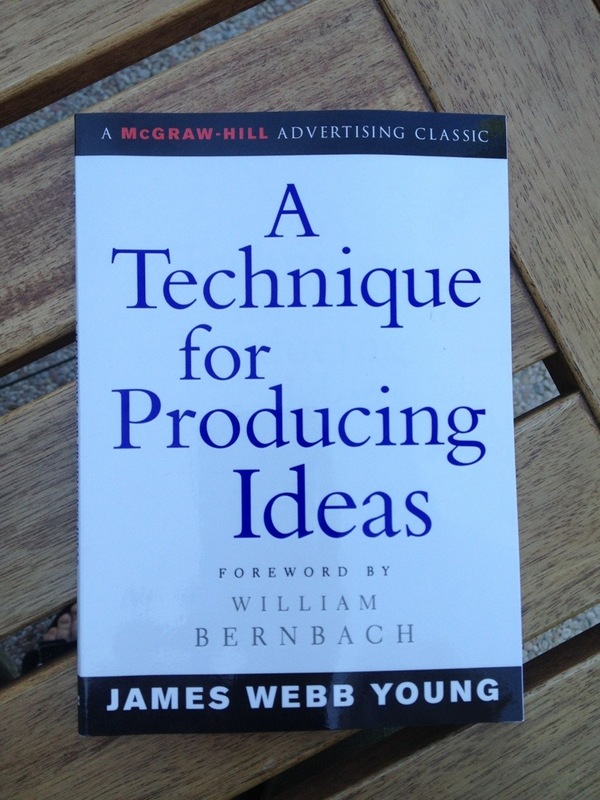 It is one of the most encouraging and self assuring books I’ve ever read: Giving you a solid and naturally feeling approach to developing ideas the author takes the panic out of your ideation process and points out the simpleness of ideation. Not implying though that it is easy work. Research, research, research. Know everything about your creative task. Try finding a solution, think till your head starts burning. Do nothing. Recreate. Sleep. Lay the task aside. Let your subconscious mind work on it. Wait till it hits you. The so called Eureka moment. Formulate your idea, shape it. Test it. This formula doesn’t necessarily make you produce good ideas! The quality of your idea, depends mightily on how good you research and how good and creative a connection you can make within this huge pile of information. I found the process to be absolutely natural to me and can only recommend reading the book.